standards of behavior they espouse. ascribed his breakthroughs to "making my mistakes faster than others." Perhaps I was hoping for something more than what is even possible? 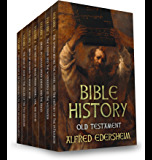 Overall, I enjoyed the book, and would certainly recommend it as a worthwhile read as a free Kindle download. But, after what I thought was a strong beginning, the remainder of the book seemed repetitive and focused on the "universal dignity" message. While not a bad message, and interesting to think about as a natural long-term evolutionary outcome, it was not what I was expecting based on the title. I was hoping for a stronger story about how religion and science cannot only peacefully co-exist but also support and strengthen each other. While providing some interesting food for thought on this topic, overall I was left disappointed and feeling like a much stronger and compelling story could and should be told. To be fair, the author would likely think the same of this review! A unique redefinition of how we can learn to relate. Don't be thrown by the beginning or the title. Fuller is not saying we should buy into or respect religious dogma as a given. He does propose looking at what is common to most religions, (variations of the golden rule as applied to ones tribe), and extends that toward a concept of universal dignity. Add to this a good helping of respect for evidence based analysis, and you end up with an interesting perspective in how we think about our relationships, and how we might live as a society. I was put off by the title, but read the book t because I like his writing in his blog on Psychology today's Site. He has something of a unique approach, on a subject that is difficult to put into words. But, religion to the author is just an accumulated wisdom. Obviously he does not understand the Bible. I do agree that science and the Christian faith need not be at war with each other. 4.0 out of 5 starsmulti-dimensional knowing. 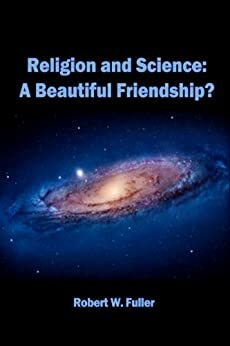 This book offers an interesting approach to thinking about the conversations that should happen between Religion and Science. They are different ways of knowing and are not mutually exclusive but rather, together, provide a multidimensional view of the whole of reality. Finally, a book that tackles one of the most contentious, important and least examined issues our modern society faces--the supposed conflict between religion and science. Fuller shows there is no inherent contradiction between them, an assertion that goes against the way most people frame the question. As someone who is an ardent supporter of the scientific method and who often sees organized religion as the source of many of the irrational movements in the world (fundamentalist terrorists, climate change deniers, etc. ), but who seeks the deeper truths that science is yet unable to reveal, I find Fuller's book a revelation. In a masterfully cogent analysis, Fuller overcomes the dichotomies in the debate and shows how science and religion can both enhance the other's understanding of the world. The clash of ideologies can be overcome by deconstructing the ideological assumptions that can underlie either approach. In a world of astonishing discoveries by science and technological changes the need for the values espoused by religion have never been more important. Fusing their insights can produce a clearer understanding of our world and our place in it. Fuller's book, as concise, cogent and well written, as any I've read on the subject is nothing short of a masterpiece that has the potential to radically shift the way we approach this terribly important subject. Bravo!